This guide walks you through the Test of Regulus Quest to get into Gelebron's Tower. The test of Regulus is a quest that starts at the Tower of Gelebron Leystone in the Otherworld at Regulus the Spellweaver. To get to Regulus, you need to have completed the Otherworld key quest. You need to finish this quest to gain access to Gelebron's Tower. 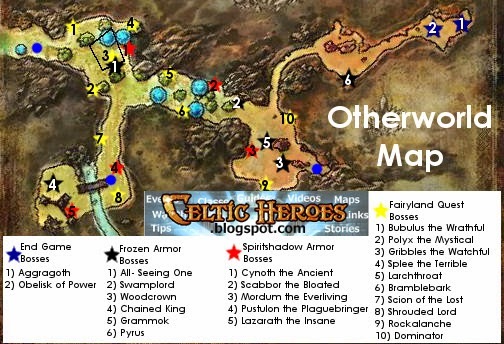 The quest is similar to the "Evil in Stonevale" quest, where you need to defeat all of the 5 major Otherworld frozen armor bosses in order as Regulus asks you to kill them. You cannot go out of order. *Edit* As of August 11, 2015, for the Test of Regulus, all you have to do to complete the quest is kill the boss OR THE MINION OF IT. Each Frozen Armor boss has a 4* and 5* placeholder, but they also have another tougher 6* that can spawn in it's place. Pay attention to the name of the monster to make sure that you are completing the quest.